Please join us in celebrating Colnago, Italy's most iconic cycling brand and purveyors of la bella vita! 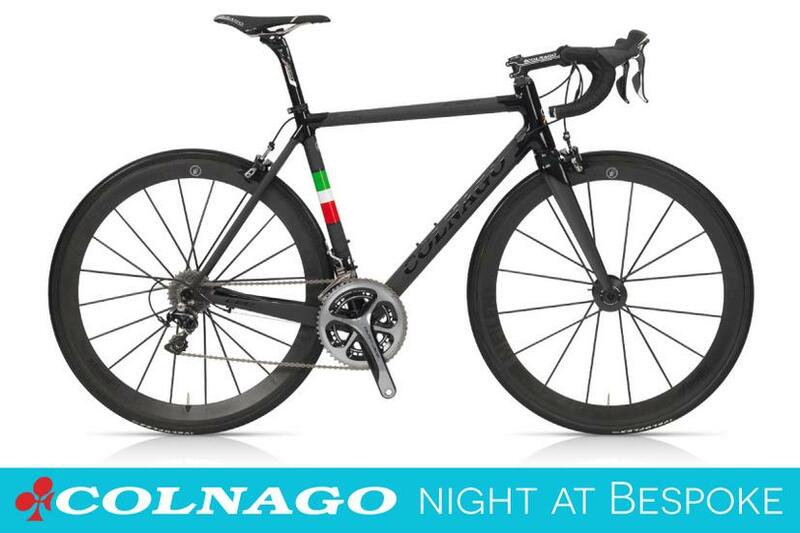 We're hosting a Colnago event at our Gresham Street store and we'd like to invite you to come down and view the 2016 offer. We'll focus on the C60 and will be showing the 2016 colour range to help you make your choice for the coming season. Buying a modern classic such as the C60 demands serious thought. We'll be here to help you with expert advice and with our proprietary 4D Fit process you can be assured that you will have the perfect fitting bike for a lifetime of sheer cycling pleasure. Refreshments, including wines of the region, will be served from 6pm. It's free to attend, but places are limited, so RSVP is essential. Please sign up HERE .